It’s telling that the opening of West Side Story is not a monologue or a dump of exposition, but an extended dance number. West Side Story doesn’t aim to communicate through such standard filmmaking techniques as story or plotting. The beats and emotions are all communicated through dancing and song. By this measure, West Side Story is one of the best of all movie musicals. When the film was released in 1961, reviews were generally quite glowing but even the film’s defenders hastened to include its imperfections. The general consensus was that Natalie Wood wasn’t a good enough dancer, that she wasn’t Latinx, and that her singing was dubbed anyway (by the hardworking Marni Nixon, natch). Pauline Kael was especially harsh, using words like “mawkish,” “hokum,” “simpering,” and “banal.” Richard Beymer, who plays Tony, is a dashing, handsome, reasonably talented, and, as some critics have said, a largely forgettable screen presence. There’s a reason that Rita Moreno and George Chakiris – as Anita and Bernardo, the Latinx lovers – won Academy Awards for their energized and complex performances, and Wood and Beymer didn’t. And while Kael in particular might need to lighten up on the flick, the critics at large make perfectly solid points. West Side Story is indeed a pretty pat adaptation of Romeo & Juliet, featuring obvious morals, a too-happy ending that deviates from the Shakespeare, language that is largely functional, and an attitude that is dully modern. 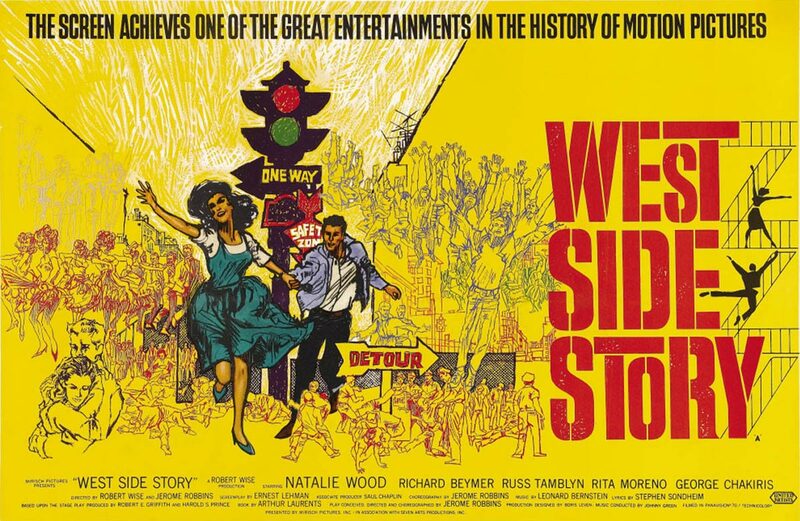 The film’s advertising declares that West Side Story doesn’t age. Indeed, it gets younger. In terms of its story, language, and the acting of its two leads, however, West Side Story feels old fashioned right out of the gate. But the dancing feels revolutionary. 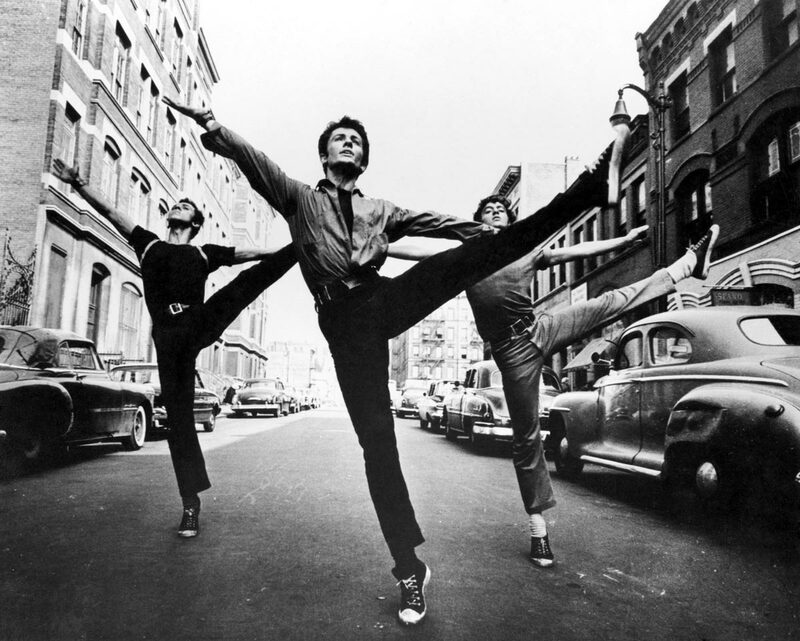 The film’s choreographer, Jerome Robbins, wanted to direct, but was “demoted” to co-director by the studio. Robert Wise, one of Hollywood’s greatest, took on the dramatic scenes, and Robbins took care of the dancing. According to many who worked on the film, Robbins worked people to the point of exhaustion, insisting on incredibly complex maneuvers that left them panting on the floor. The “Cool” number was especially difficult. Robbins had the additional struggle of working with music of Leonard Bernstein, which rarely conforms to the dancerly auspices of of 4/4 time. The songs are amazing – not to mention catchy – but their unusual musical structure makes choreographic for them a considerable challenge. Robbins was not only equal to the challenge, but managed to create dances that might just be the pinnacle of post-Astaire screen dancing. The choreography is complex, modern, sinewy, masculine. It’s balletic and brutal all at once. It’s joyous and confrontational. If street gangs were to classically dance, it would look like this. There are few things more cinematic than dancing. There is a truth to dancing. It is raw, true, and cannot be faked. It is the ultimate in cinematic verisimilitude. 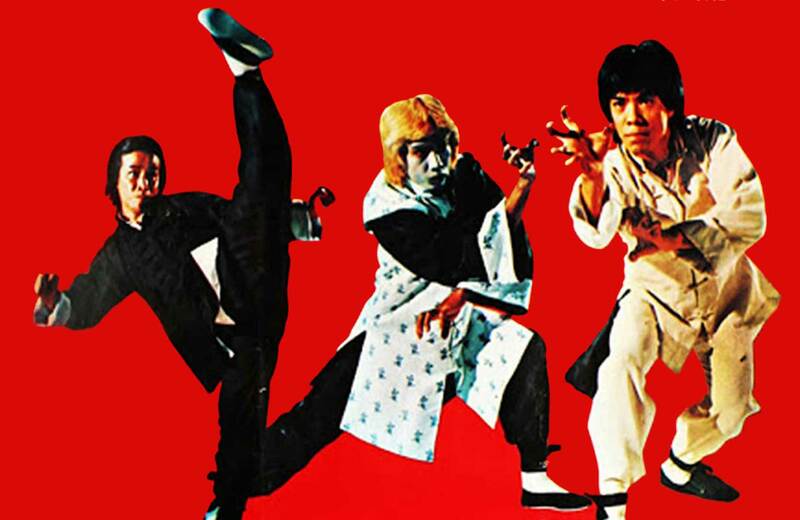 Like onscreen fighting, which is little more than choreography with fists and swords, dance is one of the reasons a motion picture camera was invented. A musical, if done skillfully enough, possesses that truth. Robbins knew what West Side Story needed. This is not a tale told with words, but with movement. This last song is a near-genius musical piss-taker, using irony and satire to confront the hand-wringing rhetoric surrounding the upper-middle-class-rattling scourge of juvenile delinquency. “They believe everything they read in the papers about us ‘cruddy JDs,’” one character says, “so that’s what we give ’em. 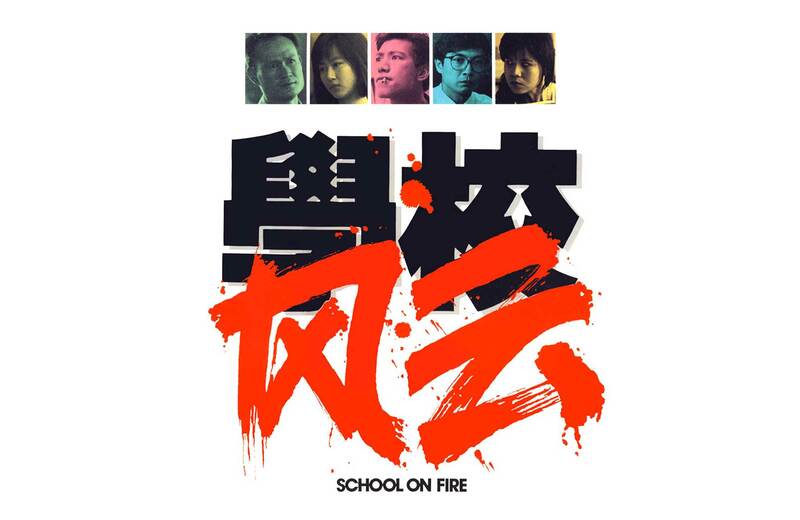 Something to believe in.” The song is bombastic, energetic, defiant. It has nothing to do with the lead characters or the main story, and everything to do with the film’s youthful tone. It’s here that one can indeed see that West Side Story grows younger, as “Gee, Officer Krupke” captures the bemused, adult-dismissive, infectious snarky intelligence of teenage life. The teens of West Side Story don’t just disrespect the local authority figure, but openly declare – in song – that they just don’t give a damn. Cops are buffoons, and that’s something to laugh about. West Side Story won 10 Academy Awards, and was, in 1961, Hollywood’s darling. It was criticized, yes, but captured the hearts of many. Given its connection to Shakespeare, many young people watch it in school, so the songs and dancing and performances have leaked into the mass consciousness in a very palpable way; there are perhaps few who haven’t seen it or who can’t at least hum a song or two. 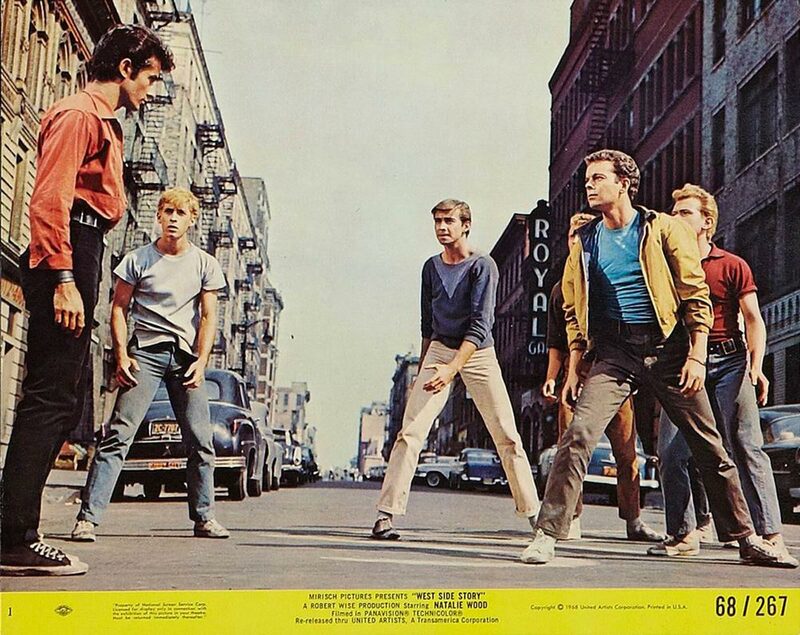 What we often need reminders about, however, is that West Side Story is also simply a great film. It’s not merely a great musical put on screen, but a great piece of musical cinema. Come remind yourself. But try not to sing aloud in the theater.